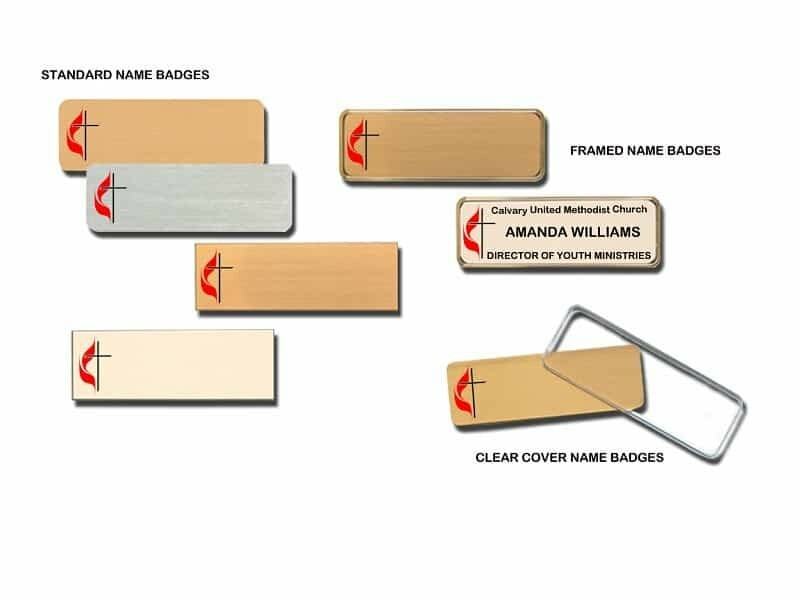 United Methodist Church We certainly enjoy manufacturing custom name badges of all types. If you need something special give us a call. Badges are fun. Church customers are a very large percentage of our client base. These are samples of logo name badges we’ve done for United Methodist Church.